The Right Guitar Playing Style for You? 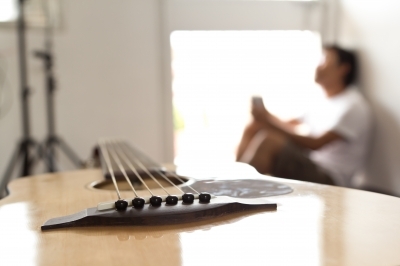 We all have our favourite genres/styles of music and, when learning guitar, we might naturally gravitate towards them, developing a learning process around a chosen style. We might be inspired by guitarists who have defined certain genres and try to emulate them. There's nothing wrong with that to a certain degree. However, being too focused on style early on in your guitar learning journey can prove a crucial mistake when it comes to reaching your full potential as a unique, individual musician. What's more, style is drawn by increasingly vague boundaries. We now have countless crossover styles and sub-genres that blur the lines between styles and make pigeon-holing bands and musicians ever more difficult (and let's be honest, such pigeon holing often undermines the true scope of musicians' talents). Where does one style end and another begin? When thinking about the defining characteristics of a style - the techniques, timbre and melodic/harmonic frameworks - are they really exclusive to that style? A closer look and listen reveals that most styles share the same fundamental guitar techniques and musical systems, with minor differences in how they are applied. A good analogy for this is food - a Chinese dish may use many of the same ingredients as a Thai dish, but it's how we combine, cook and season these ingredients that determines the outcome. The recipe is different, but we still need those core ingredients stocked up and the fundamental cooking techniques learned. Back to musical instruments, style is merely the selective application of technique. It's good to have those fundamental techniques under your fingers whatever style you might play towards. That way you can approach style in a truly open minded and organic way. But as soon as you start to dictate how and what you play based on pre-existing styles/outcomes, you instantly narrow down your creative options as a musician. You think: "nah, that doesn't sound blues/metal/ska/indie/jazz/classic rock/funk/punk enough" rather than thinking: "hey, that sounds cool, how can I use it in my own music?". That second, far more liberating question is how new styles are created. Once you start asking the question of how fundamental techniques and melody/harmony can be applied, that's when your creative juices really start flowing. So remember, first and foremost, you are a musician. There is no need to prefix that title with anything else, and from this open mindset you'll evolve naturally towards your own style - building on your strengths and technical nuances rather than constantly evaluating whether or not what you're playing fits a preconceived style. It's far more useful to think of music(ians) creating style, rather than style creating music(ians). Sure, your favourite guitarist may be considered a "blues guitarist", but what specific techniques and applications make that guitarist unique? That's what you should be analyzing as a learning guitarist. At the core of every style are the fundamental techniques and theoretical frameworks that produce the music we hear. At the core of the physical side of playing guitar, we simply have fretting and plucking the strings. On the theoretical side we have intervals - the building blocks of music, typically split into two main applications - chords (intervals played together, harmonically) and scales (intervals played one after the other, melodically). These are the primary foundations of any guitar playing style. Strumming, finger picking and flat picking (plus hybridizations of the three). Now, if you had styled yourself early on, you might have chosen blues, for example. All these picking techniques are used in blues, both separately and in combinations. The same could be said for rock, country, metal and many other parent genres. So you see, style doesn't really come into play until the much later stages of technical development. If any style specialization is to occur, it's going to make the most sense later on in your learning journey, once you have a well rounded, fundamental skill set under your fingers. Even then, you'll find genres like blues, rock, country and metal share many technical similarities. The lines blur wherever you look and play. There is a constant crossover and merging of style. Even the most identifiable differences between genres - timing (e.g. straight 4/4 vs swing) and timbre (e.g. clean/acoustic vs distorted/electric) - can be innovatively used outside their original context. You'll also soon realise that style is not always a conscious decision, and nor should it be - it's an evolving process. Playing to your strengths is an intelligent and effective way of narrowing down your focus and developing more specialised expertise. As long as you've given equal(ish) time to the fundamentals through your beginner and intermediate stages, your strongest skills should be the result of a "natural selection" (kind of like a Darwinian "survival of the fittest" process for learning guitar!). This is a prime example of growing into your style and finding your signature sound. In the beginning, when learning the fundamentals, you may gradually progress further with one technique over another. Rather than unrealistically expecting to be great at everything, accept that, given the time and practice, you'll excel with certain techniques over others and just roll with it. For example, some guitarists are noted for their slurringly smooth use of slides and legato. Others make percussive strumming and driving rhythm guitar the climax of their technical performance. 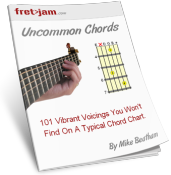 Others simply wow listeners through their colorful and flowing use of chords. Of course, there are some especially well rounded players that excel in a number of techniques and styles - you can guarantee they were more in touch with their evolving technical ability than picking a style and trying to "learn it" from the ground up. Whatever you gravitate towards, focus on and explore raw techniques and musical frameworks with an open mind, rather than trying to crowbar them into a pre-existing style. Be open to inspiration from music in genral, rather than specific styles of music. The results will be far more rewarding and far more unique to you and your ability. Don't let style dictate your progress - let your progress dictate style.